New for 2019, the Travel Bag is a development on the much trusted B-Bag. 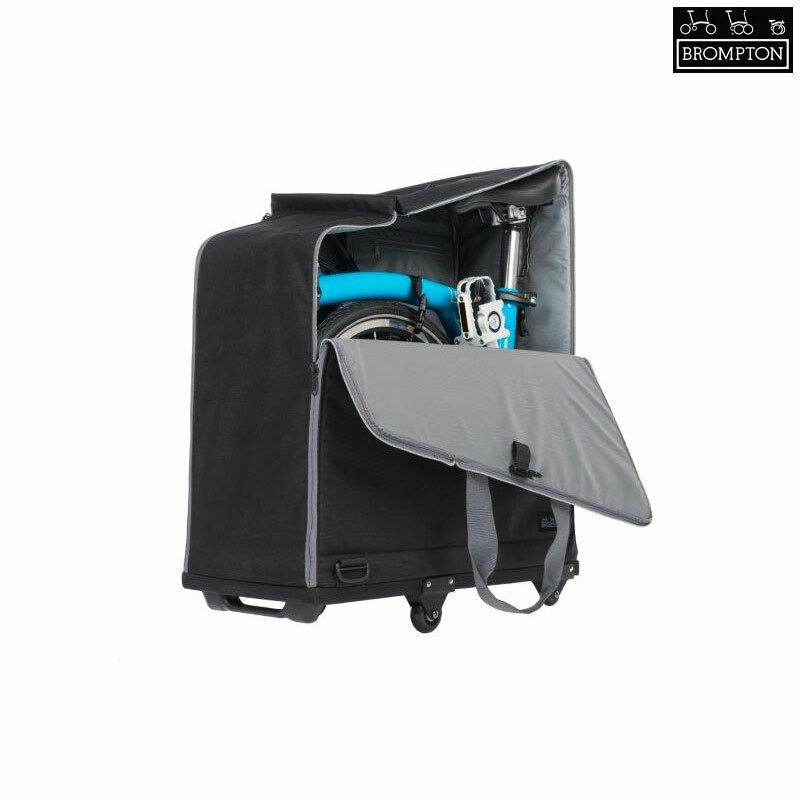 The side panels have been reinforced to offer greater protection to the bike whilst in transit and it has four wheels for easier transportation when packed. The whole bag now folds into a slim, small package which can be worn over the shoulder on the route to or from the station or airport. - 4 wheels for easier transportation. - Tilted base with single rollers offers a balance between stability and manoeuvrability. - Highlighted Saddle access zip at the top of bag . - Flat pack design for cross shoulder carry and easy storage. - Handle foot at the base act as an access point when stored at higher location. - Newly designed base offers improved strength. - Reflective strip at the base provides visibility when the bag is on the back of user. - Padded side panels are reinforced with plastic boards for structure and protection. - Lockable zip pullers (lock not included). - Side handles for lifting bike and more stability when bag is carried by the shoulder strap. - Removable shoulder strap with shoulder pad. - Tension straps allows user to secure the bike to the base. - Zipped pocket for storing small items. - Folded dimensions: 160mm (H) x 630mm (W) x 310mm (D).